Amsterdam and London, March 26, 2019 – Peerwith, the leading peer-to-peer researcher services marketplace, and Penelope.ai today announce a partnership connecting the smart technology from Penelope.ai with experts in researcher services on Peerwith, into a new and unique Submission service. Penelope.ai, which checks academic manuscripts instantly, is now fully incorporated into a Submission service and part of a collaborative and transparent peer-to-peer marketplace at Peerwith. Through this partnership authors will be able to check their manuscripts both with an automated toolset as well as human interaction experts and request additional manuscript review and preparation services from peers that are experts in researcher services. This includes guidance towards fit-for-manuscript journals and results in the manuscript being submitted on behalf of the author to a scientific journal. The service not only improves the quality of their academic work, the automated checks from Penelope.ai prevent manuscript from being rejected for obvious reasons and therefore the combination allows authors to publish their manuscripts faster. Ivo Verbeek, Managing Director, Peerwith, talks about this new partnership, “We are very excited with this new Submission service which completes the Author Services offering and emphasizes the dependency between Author Services and the submission process in general. We believe that human interaction in our unique peer-to-peer marketplace model is of superior value, but integration of smart technology is a must. 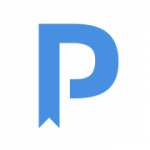 Penelope.ai is the perfect fit for this service and an ideal combination with Manuscript review and/or Journal guidance from one of the international, academic experts active on Peerwith”. Further integration of the Submission service into the Peerwith Institutional and Publisher Solution offerings, is expected after a trial period with the Submission service that is now available for authors via www.peerwith.com. Peerwith provides a secure peer-to-peer researcher services environment, connecting academics and experts across the world, making the researcher services market more collaborative, affordable and transparent. We push the frontiers of communication in science by providing the most innovative, smart, secure, integrable and transparent technological solutions. Peerwith aims to advance science globally by connecting researchers with international experts to improve the quality of their academic work. Penelope.ai specialises in automatically checking academic manuscripts to make sure they adhere to journal guidelines and scientific best practices. In addition to an API, they offer an author facing tool which can be easily added to a journal’s submission workflow and configured to reflect that journal’s specific requirements. Journals that include Penelope.ai as part of their submission flow can expect higher quality submissions. Penelope.ai, in collaboration with the EQUATOR Network, won the 2018 Cochrane-REWARD prize for reducing waste in research.